ArecaBay Force Field enables IT and Application teams to rapidly provide secure services to business, operations and customers - all in a single, scalable solution. ArecaBay Force Field continuously discover, monitor and secure APIs across services and clouds with zero-impact to applications. It goes beyond the gateway to provide a complete coverage of your Application environment ranging from legacy applications, 3rd party applications, virtualized, containerized, and server-less applications. ArecaBay Force Field goes above layer 7 & deep into the application payload, not just the API path or URL path but also the parameters and their object level data. ArecaBay Force Field encompasses complete API transaction flows across every service segment. It continuously monitors enterprise risk associated with its Application APIs using Dynamic API Risk Trackers (DART) and API DLP. ArecaBay Force Field driven by DART and API DLP enable policy actions with surgical precision against highly targeted data fields and transactions. API Force Field secures using out-of-band actions, such as invalidating sessions, stepping-up authentication and custom API actions, using the Application APIs themselves. In addition, it also provides in-line actions to drop API calls, rate-limit APIs, and quarantine data using deeper intelligence and integration with existing proxies and gateways. 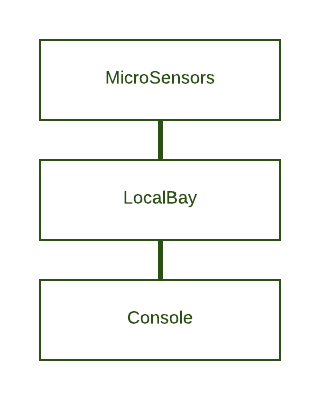 DART is a set of API level trackers powered by a network of micro-sensors driven by API specifications. DART provides an API data security posture dashboard that enables IT to continuously monitor application traffic. The DART anomaly detection module enables the API DLP (Data Loss Prevention) engine to take policy actions against targeted API data fields and transactions, and automatically discover and redact sensitive data everywhere. 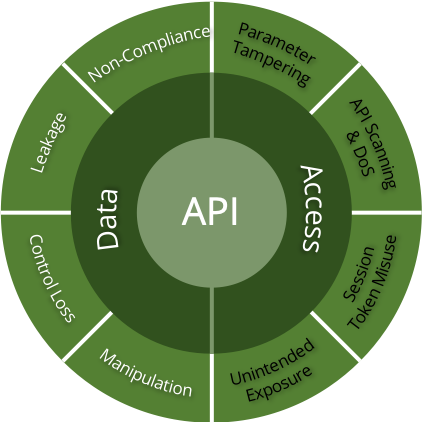 Existing technologies are limited or fail to cover the complete API security thread spectrum. ArecaBay works with containers, cloud, legacy and the third-party applications, provides zero-impact to developers, work across encrypted traffic, correlate multi-point API transactions, and use A.I. for a self-adaptive learning and behavior analysis. Download our security WhitePaper to learn about gaps in existing security solutions and how ArecaBay’s Self-Adaptive API Learning generates and automatically updates API specifications to ensure micro-sensors capture every relevant API object-level data continuously across application stacks.